A drilling rig at work near a residential neighborhood in Erie, Colo. An overhaul of oil and gas regulations will give localities more control over where drilling can happen. After years of tension over expanded oil and gas drilling, including a deadly explosion that galvanized critics, Colorado is moving to tighten regulations on the booming industry. In a sweeping overhaul the governor is expected to sign, regulators will now have to consider public health, safety and the environment in decisions about permitting and local land use. The state must still hammer out the details of how to implement the new law over the next year. But the impending changes are already fueling hope for some, and fear for others. "Oil and gas leaves, we're gone"
"We just had our largest order from an oil and gas worker," says Matt Smith, owner of Daddy's Goodness BBQ outside Greeley, as the lunch-hour rush crowded around the window of his bright red food truck. Smith changed careers to start the business two years ago. "Oil and gas leaves, we're gone," he says. Greeley is the epicenter of Colorado's oil and gas development. Weld County is where 90 percent of Colorado's oil is pumped, and the region hosts oil companies, secondary companies that truck water and supplies to well pads, and companies like Smith's that depend on business from the oil fields. Many who live in Greeley oppose the changes. Matt Smith started Daddy's Goodness BBQ in Weld County two years ago. He worries new oil and gas regulations will slow down production and hurt his business. "There's a lot of anger, but I think beneath that anger is a lot of fear," says Barbara Kirkmeyer, Weld County commissioner. "A lot of people are scared of what can happen here." The new law would give cities and counties more control over where oil wells go. It would also shift the state's mandate from fostering oil and gas development to regulating it, with a focus on the environment and people's safety. The Colorado Oil and Gas Conservation Commission will get new members with environmental and public health expertise. The legislation also launches rule-makings in half a dozen areas, including flow lines, and limiting potent methane leaks from oil and gas infrastructure. Weld County officials worry those new rules could slow the approval of new drilling permits — already backlogged — and curtail a crucial cash flow. In 2018, oil and gas production contributed $490 million in tax revenue, about 60 percent of the county's overall tax dollars. Jeff Robbins, director of the state's Oil and Gas Conservation Commission, says it will continue to process permits even as it implements the new rules. Still, companies could see new hurdles, including rising costs for permit applications. Perhaps the biggest shift will be giving local communities more control in regulating oil and gas development. South of Greeley, residents of Erie, Colo., have been pushing for that as they've watched multiple drilling projects come through their neighborhoods. "The first time when they were close to us and drilling, you could actually feel the vibration in our house," says Robin Goldsmith, as she loads her aging terrier into her SUV. That first well pad was about 1,000 feet away. That's more than double the distance from homes that the state requires, so there wasn't much she could do to stop it. "Hopefully [the new law] will make a difference, because in this particular area — in Erie, in Broomfield — there is a ton of activity going on," she says. The push for more restrictions gained traction two years ago. That's when two people died after a home explosion not far away from Erie, in Firestone. An underground line from a well had leaked gas. Goldsmith does not share concerns that the new law will prompt an economic slowdown for the industry. "That's the oil and gas companies making sure that their investments are protected, as opposed to the good of the people," she says. Christiaan van Woudenberg, on the Erie Board of Trustees, ran against fracking. He hopes a sweeping regulatory overhaul will let him rewrite local laws to push oil wells farther from homes. Ultimately it will be up to towns, cities and counties to decide if they want to tackle new rules on oil and gas development. In Erie, town trustee Christiaan van Woudenberg ran for office on a platform against fracking and plans to start the process soon. But he says it will be tricky. He worries about a last-minute change to the legislation favored by industry. It restricts communities to doing only what's "necessary and reasonable" to protect health and safety. "So lawyers will decide what that means," van Woudenberg says. "And the problem is that these oil and gas companies have access to resources magnitudes of orders beyond a town council like Erie." Some worry that imbalance could prevent communities from tackling rule-making altogether. Anne Lee Foster, of the environmental group Colorado Rising, says local officials may be deterred "for fear of being litigated and not having the resources to properly defend their communities." 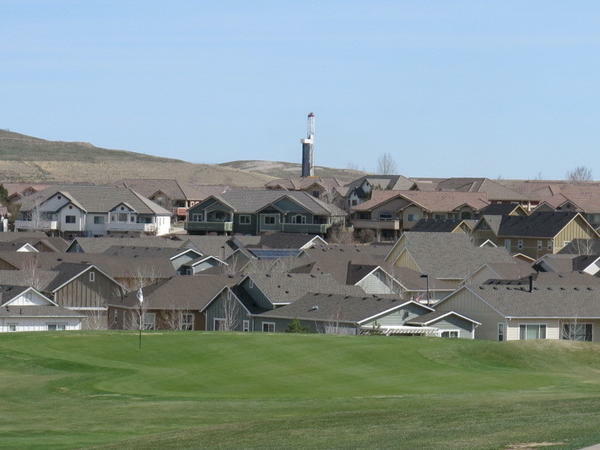 Last fall, Colorado Rising supported a ballot measure that would have imposed a 2,500-foot distance between oil wells and homes, but it failed to pass. The group says it will watch closely to see how the new law plays out. If community controls are stymied by industry in the courts, Foster says, Colorado Rising will float a statewide ballot issue in 2020, trying yet again to get even more local control. But first, opponents of the latest restrictions on oil and gas development may have their shot at a redo. They're already campaigning for a ballot measure to repeal the law. Colorado is changing the way it regulates oil and gas drilling, a big industry there that has led to a lot of tension. The governor is expected to sign legislation to make health and safety more of a priority for that industry. So what's that mean for the state's oil boom? Here's Grace Hood of Colorado Public Radio and NPR's Energy and Environment team. GRACE HOOD, BYLINE: Weld County is where 90 percent of Colorado's oil is pumped. And last year, that hit an all-time high. The region is home to oil companies, companies that truck water and supplies to well pads and companies that feed hungry workers, places like Daddy's Goodness BBQ. MATT SMITH: We just had our largest order from an oil and gas worker. 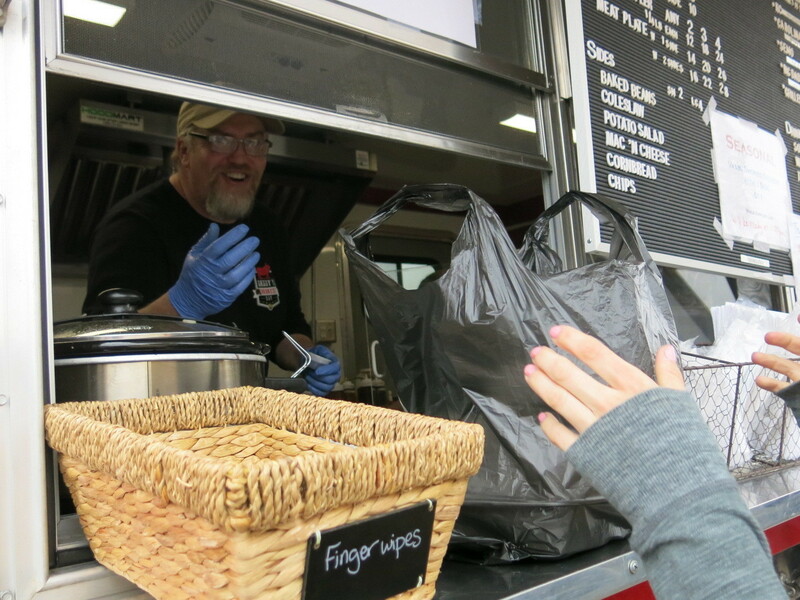 HOOD: Matt Smith switched careers to start this food truck two years ago. SMITH: If oil and gas leaves, we're gone. HOOD: Smith worries that new mandates from a Democratic majority legislature will force companies to leave the state. Some in the county are already campaigning for a ballot measure to repeal the law. The changes are sweeping - the state must make health and safety a priority. It must appoint new regulators with environmental and public health expertise. Local governments will have more control over where oil wells go. And there are more rules to craft on things like capturing potent methane leaks from oil and gas infrastructure. So the new law marks a starting point, not the finish line. BRENDA DONES: The rules that are going to be written, that's where the concern is. HOOD: Brenda Dones is Weld County assessor. She says Weld brings in hundreds of millions of dollars in tax revenue from oil production each year. That money supports schools, roads and bridges. But now she worries that a backlog in approving drilling permits will only grow. DONES: How long's it going to take to make sure that we can start approving permits again so that we can continue to get the revenue that we're expecting? HOOD: Travel down the road to Erie in south Weld County, and you find a different set of concerns. HOOD: From this playground, you can see an oil well pad in the distance. Across the street, Robin Goldsmith loads her aging terrier into her SUV. She's seen multiple drilling projects come through over the last decade, including that pad just 1,000 feet from her home. ROBIN GOLDSMITH: The first time when they were close to us and drilling, you could actually feel the vibration in our house. HOOD: Residents in this neighborhood near Denver worry about their health and safety when oil wells are drilled so close. Two years ago, not far away, two people died after an underground line from a well leaked gas and a home exploded. Goldsmith does not think the new law will prompt an economic slowdown. GOLDSMITH: That's the oil and gas companies making sure that their investments are protected as opposed to the good of the people. HOOD: Erie town trustee Christiaan van Woudenberg likes the new law. 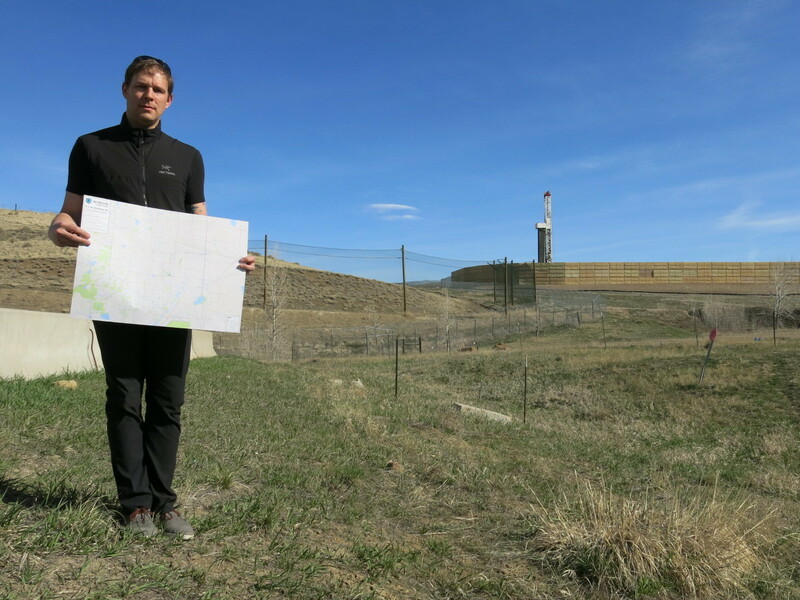 He says cities need to use it to create more distance between wells and homes. But when it comes to public safety, the new law lets communities do only what's, quote, "necessary and reasonable." CHRISTIAAN VAN WOUDENBERG: So lawyers will decide what that means. And the problem is that these oil and gas companies have access to resources magnitudes of orders beyond a town council like Erie. HOOD: Other environmental groups worry that some towns won't even try. Ultimately, it could be up to the courts to say how far communities can go to limit oil development. For NPR News, I'm Grace Hood in Erie, Colo.